I have been a fan of Susan Meissner for a number of years. Secrets of a Charmed Life was one of my favourites for 2015 and I adored Lady in Waiting. 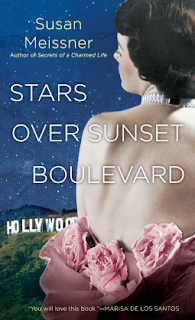 Stars over Sunset Boulevard is a story about friendship. How strong that friendship is and the binds that tie them together. It's during the filming of Gone With the Wind that Violet and Audrey meet and evidently become room mates. Each of them has a past they are reluctant to share but when circumstances bring those issues out in the open then this book picked up for me. Susan Meissner has taken on many different era's with her writing and I marvel at her ability to research such different time periods - from Tudor England to Salem Witch Trials to World War II (to name a few). Here she has taken on Hollywood in the 1930's. Though part of the story is present day the vast majority begins in 1938. This book had the feel of the time and life style, it wasn't hard to visual at all. Though Gone With the Wind was just the backdrop here, I found the workings of the filming interesting as well as name dropping. Violet and Audrey were likeable characters, though I will admit at times I didn't exactly feel the connection between them. I found the emotional attachment lacking at times. But the story was interesting, it keep my attention and desire to see the outcome. Not one of my favourites by Meissner, whether that is because she has delivered 5 star books for me in the past and my expectation level is elevated I am not sure. 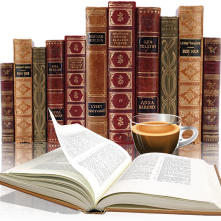 But still I am glad to have read it and of course will continue to grab her books when I can. Thank you to the Penguin/Random House for an advanced copy for review purposes only.